Back in the '90s, Sony's PlayStation video game console helped to usher in a new era for sound in gaming. Back in the ’90s, Sony’s PlayStation video game console helped to usher in a new era for sound in gaming. The PlayStation was one of the first consoles to use CDs instead of cartridges, which allowed game music composers to employ CD-quality audio recordings. The result was a new wave of wildly creative video game soundtracks that often drew inspiration from techno, house, drum and bass, ambient and other exciting new electronic splinter genres. It may not have been the first to sport a disc drive, but it was unquestionably the first to become a major commercial success, and the work from that era still remains inspiring and influential to this day. The people behind these original PlayStation soundtracks were in some cases even drawn from the Japanese techno scene itself, as in the case of Ghost In The Shell: Megatech Body, which features Takkyu Ishino (as well as many international techno heavyweights of the era). 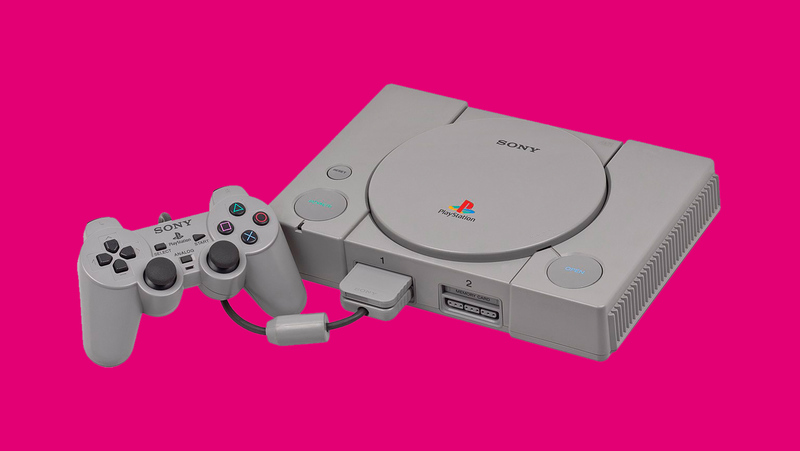 The original PlayStation is back in the spotlight this holiday season thanks to Sony’s release of the so-called PlayStation Classic, a miniature version of the console that comes pre-loaded with 20 games that include classics like Final Fantasy VII, Metal Gear Solid and Tekken 3. What’s surprising about many of these games is just how good the music is. We asked video game soundtrack enthusiast Charley McDermott-Edwards to select a few of the most defining soundtracks of that original PlayStation era. “Techno was a global force in the ’90s and there’s a wealth of superb techno tracks that exist in the PlayStation’s library. In Japan in particular there was an emergent techno scene which made a big impact on the video game music of the ’90s (if you’d like discover some albums from this movement, I can’t recommend this article enough!). Producers such as Takkyu Ishino worked as composers in the animation and video game industries, bringing a new flavor of sound to games. “Of course, Castlevania can’t be mentioned without putting Castlevania: Symphony of the Night on this list too. This game was released in 1997 by Konami and was regarded at the time as one of the best games ever released. And that’s a point that still rings true today. Its composer Michiru Yamane created a highly diverse original soundtrack. There’s absolutely loads of tracks and a variety of genres to be enjoyed. But this harpsichord mayhem linked above is a nice example of how far video game music had progressed from its 16-bit roots.